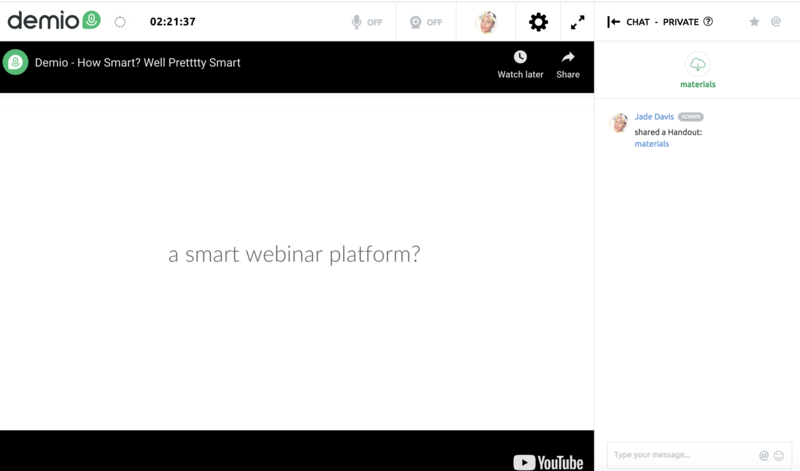 Get a quick overview of the Attendee-view of a webinar event. 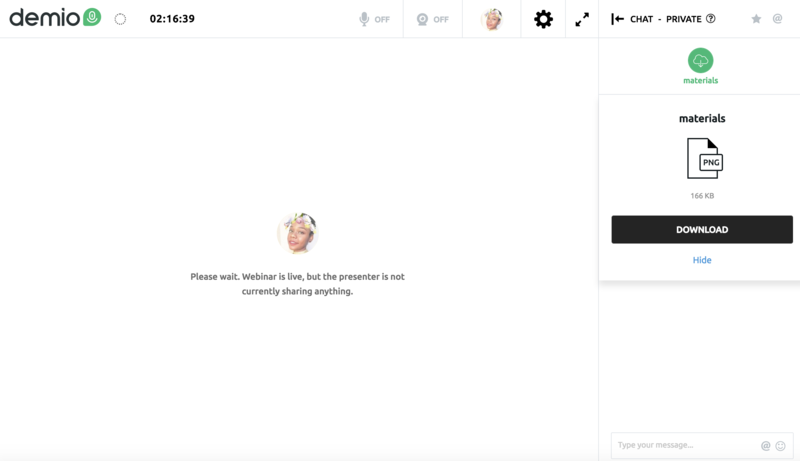 When an Attendee joins an event, they'll be brought to the Webinar Room, with the main Presentation front and center! Direct on the right side, they'll find the Chat Box where they can engage directly with the Presenters and/or the other Attendees. 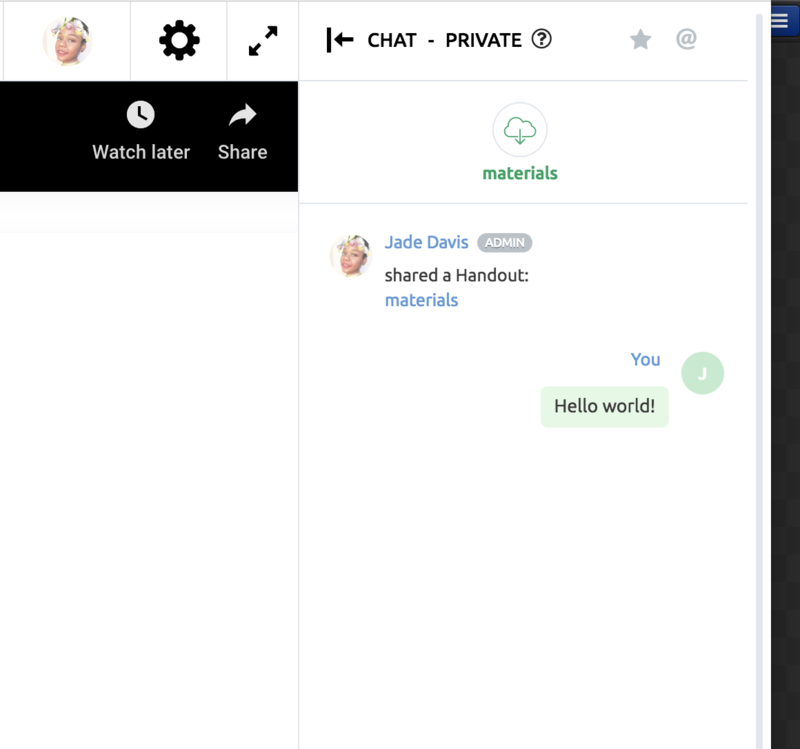 The chat area will display any Resources/Handouts that have been shared by the Presenter. When an Attendee is given webcam/microphone permissions, a pop-up notification will be displayed. In addition to the pop-up, the Attendees will now find they have the option to turn on/off their device directly from the toolbar at the top.